Creative design consultancy specialising in new product design & innovation in Fashion, Gift, Clothing, Fragrance & Beauty, Knitwear and Wearable Technology. We create commercial innovative product ranges that will drive business growth , create additional sales and target new routes to market. Our design thinking process and industry experience enables us to drive all development from concept to commercialisation. 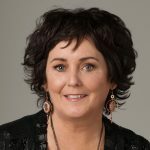 I am a mentor with the Craft Council of Ireland, Enterprise Ireland and a number of the Leo Enterprise Boards.